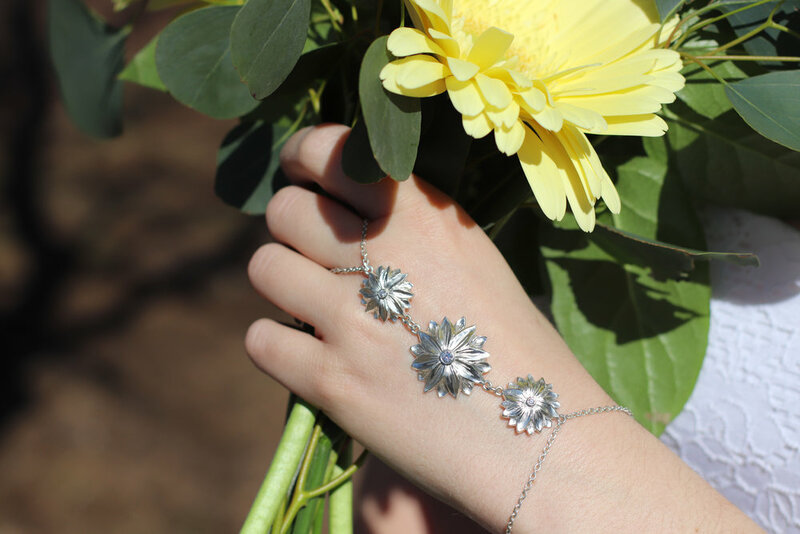 "Flower Bracelet" is a one-of-a-kind jewelry handpiece showcasing sculpted flowers. The petals were made with the ancient chasing and reppoussé metalworking technique which involves hammering the design on the front and back with specialized chisels. At the center of the petals lay bezel set diamonds. Please visit Contact page commission a one-of-a-kind piece.